We were initially very impressed by the overall look of the products in Prestige CBD’s great range. The black box and gold finish make their products look appealing but what about the price? Well, the good news is that the whole range of Prestige CBD’s products are competitively priced and won’t break the bank. When it comes to branding and presentation, some companies within the CBD industry stand out above the rest, but that’s only if the CBD inside their products reaches the high standards, potency levels, and safety that people want and deserve. When choosing a CBD product for the first time – whether that be CBD Oil Tinctures, CBD Edibles like gummies or CBD Vape Juice – it’s vital that the company you purchase from send their ingredients for testing by a third-party lab and then transparently share the results with their customers. We are thrilled to be taking a look at Prestige CBD; a company who is highly regarded by people in the know, with a range of perfectly blended and even more perfectly presented CBD products that have taken the world of CBD by storm. 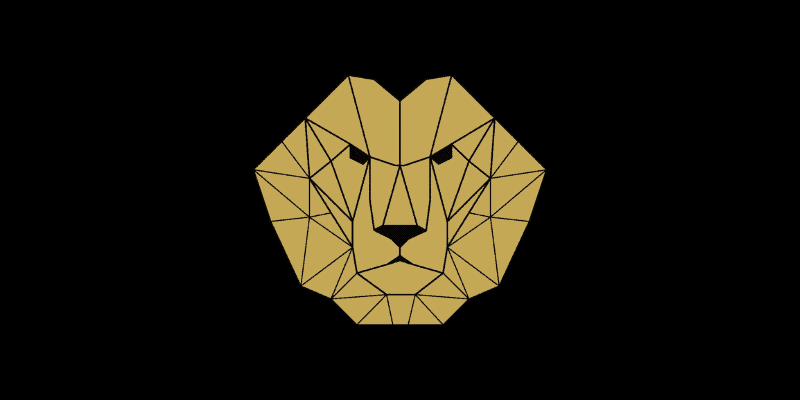 Based in sun-soaked LA, Prestige CBD sells a range of CBD products including, CBD Oil Tonic, CBD Roll on Salve and a range of other high-quality CBD items such as CBD creams and even CBD for Pets. At first, glance, when it comes to the black and gold trim packaging, one expects a hefty price tag to be attached at checkout. We were nicely surprised to see that Prestige CBD, despite the fancy packaging and branding, has managed to keep their prices competitive and in-line with similar products on the market. We are taking a look at Prestige CBD’s product range in general, before focusing in on two of their best selling products which have a serious following of CBD aficionados around the world. We are also excited to be able to bring you an impressive 15% off discount with our CBD Discount Code at the end of this review. Prestige CBD pride themselves on finest quality CBD products – grown and processed with love and attention – and then tested robustly by a third-party laboratory for potency and safety, just in case. Prestige CBD only uses Organic CBD in their range of products and the majority of the other ingredients in the mix are also natural. Their dedicated team of specialists develops innovative scientific techniques to bring the very best products to their customers. The company also proudly boasts about its transparency when it comes to the testing they carry out on their products. They also use environmentally-friendly extraction techniques and full CoA’s are even available on request. Prestige’s CBD Roll On and CBD Salve have some great online ratings – both on their website and Facebook. Their CBD Tonic is also a favorite item as is their range of CBD for Pets. Impressively, their website includes up-to-date lab results for all their products, and each batch is individually tested for quality, consistency, and safety. While Prestige CBD’s products may not be the cheapest on the market, they are among some of the best, and that’s why we’re taking a closer look at Prestige CBD’s Roll on and CBD Salve. Also, don’t forget to keep an eye out for the great 15% CBD Coupon Code we are giving you at the end of this brand review. Prestige CBD – like most companies in the CBD industry – has some products that are more popular than others. Nevertheless, their whole range of finest CBD items are impeccably presented, and that also makes them an excellent option for a birthday or festive gift. Prestige’s Facial Serum is a great product within their skincare range, as is their great pet tonic which can be given to your pet pooch to keep them in great shape. As well as being able to choose from a wide variety of CBD products to suit your needs, you can also select the CBD concentration in Prestige CBD Oil. Many people these days are turning to CBD products for their skincare regime; in favor of other skin products on the market that contains chemicals that can damage the skin. CBD Skincare is growing in popularity; mainly due to people who want a natural and organic solution and not a chemical one – especially when it comes to sensitive skin. And when it comes to skincare or muscle rubs, things can get sticky and a little messy – primarily when you use creams that leave a greasy residue on the skin and don’t absorb properly. That’s why CBD Creams are loved by many, as they generally don’t leave any residue and leave the skin feeling great and looking refreshed. But this product is different as it is also used to relieve pain in sore muscles and aching joint. Prestige CBD’s Roll-On CBD Salve is excellent as it is applied directly to the skin without the need for using your fingers to apply it – much like a roll-on deodorant. This products contains a generous 250 mg of best quality CBD extract and is rapidly absorbed into the skin soon after it’s applied. Containing only CBD Extract and Grapeseed Oil as the carrying agent, Prestige’s CBD Salve is an excellent way of pampering yourself with a decedent CBD massage or having someone do it for you. It’s also very cost effective as just a little goes a long way. 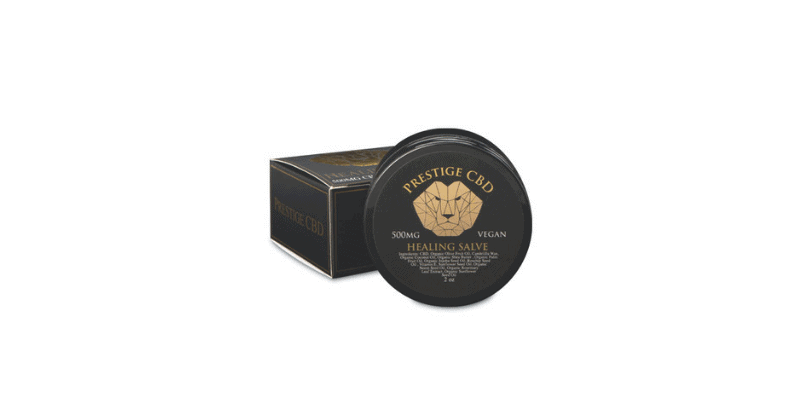 Prestige CBD’s CBD Salve is another great product in their range which has some tremendous five-star reviews from customers who’ve already tried it. The Prestige CBD Healing Salve can help with issues like localized pain, muscle soreness, joint pain, inflammation, psoriasis, eczema, and dry skin. This fantastic formula contains 500mg of CBD and a unique combination of essential oils and waxes that help to heal and rejuvenate muscles. Candelilla Wax, Organic Coconut Oil, Organic Shea Butter, Jojoba Seed Oil, and Rosehip Seed Oil combine with Vitamin E and Organic Rosemary Leaf Extract to leave your skin feeling great and your muscles relaxed and pain-free. This CBD Salve can be used by itself or in conjunction with other products in your skincare cabinet for great long-term results. We were initially very impressed by the overall look of the products in Prestige CBD’s great range. The black box and gold finish make their products look appealing but what about the price? Well, the good news is that the whole range of Prestige CBD’s products are competitively priced and won’t break the bank. You get to choose from a variety of fantastic CBD Extract, whether in the form of a CBD Cream or Salve, a CBD Roll-On or some CBD Tonic Oil. We were also taken in particular by their CBD Roll-On and CBD Salve which contain a seriously generous amount of CBD in them. We were also impressed with the taste, smell and quality of the Prestige CBD products we tried and were thrilled when we were given the option of offering our readers an incredible 15% Coupon Code; applicable to the whole range of Prestige CBD’s range. Whether you are new to CBD or a veteran user, Prestige CBD is one company worth taking note of as they sell some awesome products. And if you want to save 15% on your order from Prestige, simply add the CBD Coupon Code “BESTDOSAGE” on the checkout screen of your shopping cart. You’ll see that 15% has been taken off the price of your order and now all you need do is sit and wait for the postman to arrive. You can also feel free to reach out to Prestige’s dedicated customer service team who will happy to answer your questions and steer you in the right direction.